One of the top bars in Washington Area if you are looking for some place to watch your favorite sports while munching on tasty burgers and grilled stuff. Plenty of TVs so anywhere inside is a good spot. You can also bring your kids and try the cheese fries. The mood inside is pretty chilled and unpretentious - just a typical laid back sports bar. Beer is cold, wait staff are attentive and friendly and the multitude of TVs are always tuned to sports. 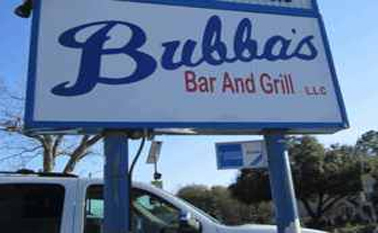 Maybe it's about time you try Bubba's.